Parliament Hill in Ottawa. Photo by Sue Frause. 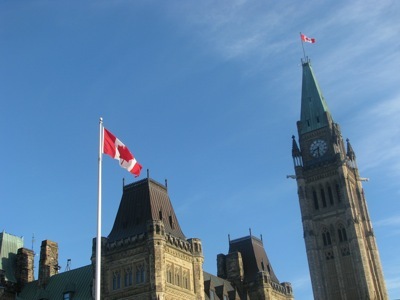 "OTTAWA — Prime Minister Stephen Harper has changed his mind on the national anthem — it's fine just the way it is. Two days after Harper, in the speech from the throne, said his government would review the wording of the English version of O Canada, with an eye toward making it "gender neutral," the idea was abruptly shelved."